It’s a Sunday afternoon in July, and I’m lying on my bed trying to calm down. The month’s rapid-fire events are hitting me square in the gut. Today, someone agitated by police shootings of black men ambushed police in Baton Rouge. Already, commentators are pointing a finger at black organizers. Just over a week ago, a Black Lives Matter protest in Dallas ended with a sniper targeting police there; in return, the police circulated an image of an innocent protester as a suspect before using a robot to kill the perpetrator. Two days before the Dallas shooting, Baton Rouge police killed Alton Sterling while he was pinned to the ground, and the next day Philando Castile was shot dead by police during a traffic stop in a suburb of St. Paul, Minnesota, while his girlfriend and her daughter sit inches away. This feature, together with Zoë Carpenter’s investigation, “What’s Killing America’s Black Infants?,” received a 2018 James Aronson Award for Social Justice Journalism. For the past three years, my job has been to report on black-led organizing and the police violence that fuels it, and, until recently, I’ve been able to read and process related news with the detachment that my journalism training has instilled in me. But now, what I see online and on TV simply makes me afraid. I am seven months pregnant, and these days, tragic events hit me in a way that I can’t neatly tuck away. I’m learning that in moments like these, it’s critical that I step away from the screen and stop crying, that I figure out how to return my breathing to normal. My health and my fetus’s health depend on it. Black women, after all, are almost four times more likely to die from pregnancy complications than our white counterparts, and black babies are twice as likely as white babies to die before their first birthday. I worry that I’ll have a baby that’s too small to thrive, or that I’ll be treated so negligently by the hospital staff during delivery that I will end up seriously injured, or dead. You might think that I don’t need to worry: I eat a healthy diet; I don’t have high blood pressure or diabetes. I am not poor; I have private insurance and a master’s degree. I started prenatal appointments at 10 weeks and haven’t missed one. But I’m under no illusion that my class privilege will save me. Research suggests that it’s the stress caused by racial discrimination experienced over a lifetime that leads to black American women’s troubling birth outcomes, not the individual choices those women make or how much money or education they have. I sat slack-jawed as I read the work of public-health researcher Arline Geronimus, who has found that the average black woman might be less healthy at 25 than she was at 15, and that African-American women at 35 have the rates of disability of white Americans who are 55. There’s something about the American experience that tears away at the black body. I was 38 years old, and so daily slights and structural racism had had plenty of time to take their toll. Thus my decision, made during the long summer of my third trimester, to take a break from the news, which serves as a constant reminder of two disturbing realities: One, that in carrying a black child, I was carrying a potential Sterling or Castile or Rekia Boyd or Tamir Rice. And two, that my health and that of my child-to-be were largely in the hands of people who, like me, have been watching events unfold in Baton Rouge or Dallas or Ferguson or Chicago—but may have a completely different understanding than me of how race works in this country. There’s something about the American experience that tears away at the black body. When I walked into my ob-gyn’s office in Dayton, Ohio, or into the offices of the various specialists I saw over the course of my pregnancy, I suspected that the all-white teams of receptionists, nurses, and doctors (OK, there’s a black receptionist at the office where I got my ultrasounds) first see a black woman, not an Ivy League graduate or someone whose job includes researching reproductive health—or any of the other characteristics that some may think would shield me from substandard care. An Institute of Medicine report found that people of color “are less likely to receive needed services” even when their insurance and income are the same as white people’s. So I tried to leverage every bit of privilege I could to stave off any assumptions that my health-care providers might have made. I wasn’t married and rarely wore my engagement ring, but I made sure to put it on before every prenatal appointment. When I showed up to an appointment with cornrows or an Afro, I wondered if I’d be treated differently from the times I’d come with my hair flat-ironed. These concerns may seem far-fetched, but during my pregnancy they were very real to me. A 2016 study by the University of Virginia found that about half of the white medical students and residents surveyed held at least one false belief about biological differences between black and white people: that black people’s nerve endings are less sensitive than white people’s, for instance. Those implicit biases affected the students’ abilities to make appropriate decisions about treating black patients. Dr. Norman Oliver, the study’s co-author, told me that while the so-called social determinants of health—access to safe housing, jobs, education, health insurance—are largely responsible for health inequities, bias in clinical treatment also plays a role. A 1999 study of cardiovascular health found that black women are at a particular disadvantage. Speaking to Oliver made me think of the minutes before my daughter’s birth late this summer, when the nurse in charge of administering the anesthetic introduced himself to me just prior to my C-section. He was a white man, friendly, willing to answer all of my questions. When he finished explaining the process we were about to begin, I looked him in the eyes and made him promise me that I wouldn’t feel anything, as if personal obligation rather than his training would get me the appropriate care. I didn’t need to read Oliver’s research to fear that I might feel my obstetrician slice into my abdomen due to racist ideas about pain and blackness. This same distrust caused me to be skeptical that I actually needed the C-section I was told was necessary at 14 weeks. That’s when a white doctor reviewed my ultrasound and told me that not only did I have fibroids, but also that the largest one—the size of a grapefruit—was blocking the birth canal, making vaginal birth impossible. That doctor had also been warm and responsive, but the encounter—especially her warning that the fibroids put me at increased risk for hemorrhage and hysterectomy during surgery—set me on edge. I hadn’t known prior to the ultrasound that I had fibroids, but I had many friends and family members who did; black women are up to four times more likely than white women to have them. I knew that the C-section rate in the United States—32 percent—is more than double what’s recommended by the World Health Organization. The C-section rate here is slightly higher for black women than for white women, even for black women who are low-risk. Was I being steered by a provider with unconscious racial bias toward becoming another statistic? I held on to the possibility that she and my white obstetrician, who confirmed her findings, were wrong, that they couldn’t imagine the same options for me that they might for a white patient. It wasn’t until I’d gotten a second opinion from a black female ob-gyn that I accepted that a C-section was the right choice. I felt more confident that she’d been able to see me as a human being, just like her. I know that in carrying a black child, I am carrying a potential Rekia Boyd or Tamir Rice. I have no problem asking doctors questions, even to the point of making a nuisance of myself. Still, I considered hiring a doula for the birth. I would have preferred a black woman, but I couldn’t find one in southwestern Ohio. Black women in particular have an unmet need for birth assistance, according to a 2016 Choices in Childbirth report. 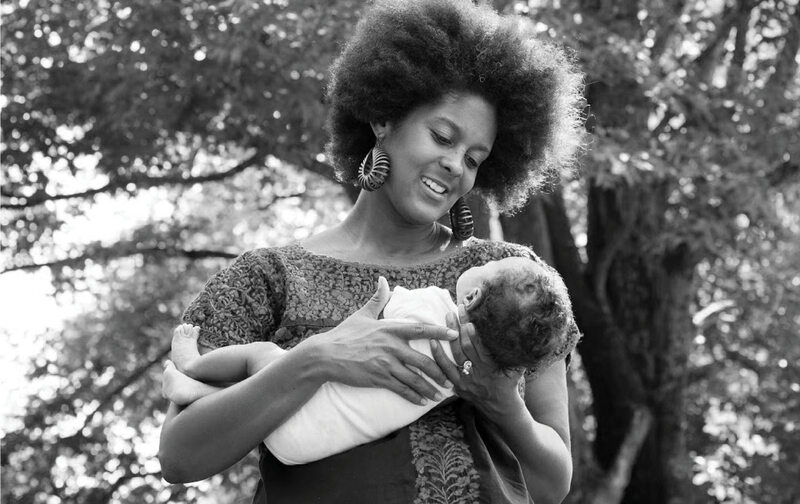 Thirty-nine percent of the black women surveyed wanted but did not have access to the services of a doula, compared with 30 percent of Latinas and 22 percent of white women. I interviewed a white woman for the job and liked her well enough, but her services cost $900, and my partner and I didn’t want to pay that much; we were already paying $200 for a birth-education course through a local hospital. In addition to offering general information on labor and birth, the course, called Hypnobirthing, emphasizes a relaxation method that involves positive visualizations. I was less interested in that than in being part of a community of first-time parents who, like my partner and me, had questions about everything from the best positions for labor to what an epidural does. Out of about a dozen couples in the class, we were one of two black couples. There was also a Latino couple, and the rest appeared to be white. The teacher was a white woman, and so were all the guest speakers she brought in. During some of the sessions, the instructor showed a lack of sensitivity to the issues that mattered to me. A handout on the reasons one might have a surgical birth omitted fibroids but included high blood pressure, breech positioning, and herpes. When I brought up fibroids, I was met with a roomful of blank stares. We were told that the number-one reason for pre-term birth is dehydration. Thirteen percent of black women deliver babies before they’re full-term—and that’s simply because we’re thirsty? Once a woman knows that she won’t be turned away, she’s more likely to trust her provider, open up, and comply with any instructions she’s given. “When a woman feels connected, she can then connect to her child,” Joseph said. If a woman is afraid that she can’t keep her child-to-be safe, she needs help managing her anxieties. Just like me on the bed that July afternoon, she needs help calming down. My own pregnancy and birth were made easier by all those who sheltered me from the stressors of the world. Our families freely offered their time and care. A dear friend drove from Detroit to be our doula. And despite my initial misgivings, my white male obstetrician showed me real kindness and made good on his promise that no matter what time I went into labor, he’d be there. He was part of the team that made me believe I could have a safe pregnancy and birth, no matter what the statistics said or how the news made me feel—before I had sense enough to temporarily turn away.